Goat fencing is an important part of owning animals especially goat breeds. Knowing what is out there and what works in each situation will not only help you save money and time but will keep your animals safe as well. 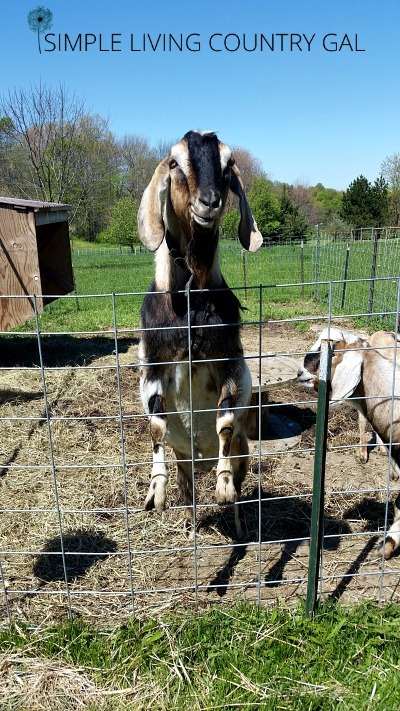 One of the most common questions I get regarding goats is what kind of fencing do I need for my goat? I am going to break the goat fencing mystery all down for you today! 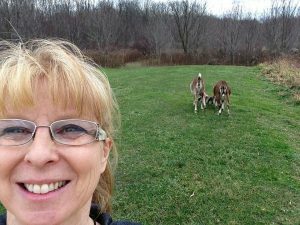 When I first started out I had no idea what I was doing, so I tried different goat fencing options hoping to find just what worked best with my mischievous crew of goats. I wish I had known what the options where and how and why to use each. Oh, the time I would have saved! 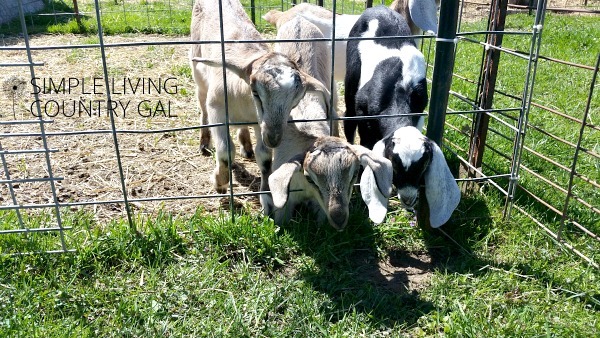 If you are one of the newbies like I was, this list of goat fence ideas is for you. Over the last 7+ years, I have tried the following goat fencing options and still use each one depending on the situation. 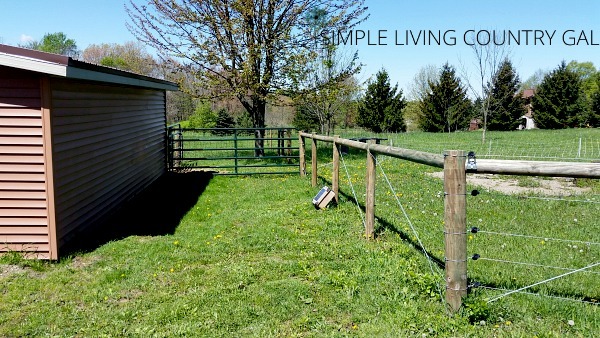 You will not need all of these goat fence ideas to raise your goats, but knowing how and why I use each fence will help you in your decision process. 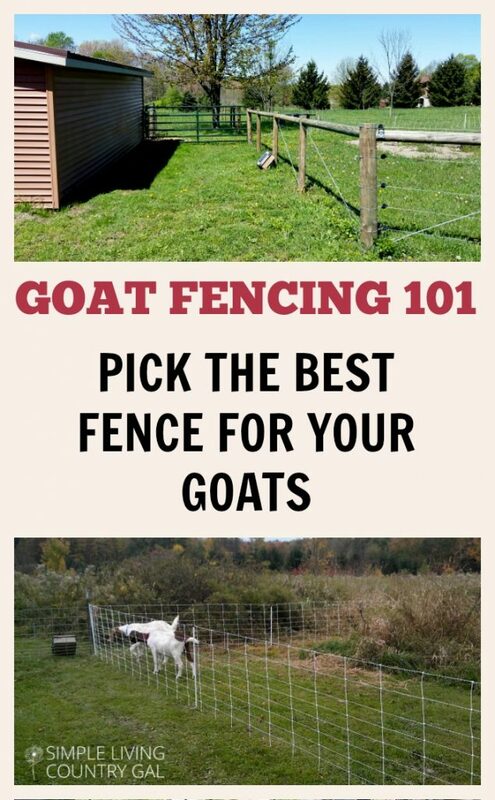 Now, before we dive in a few goat fencing tips to remember. If you think your goats will not be able to get out of a fence…..they will. Trust me, I know this for a fact. If for any reason at all they do not want to be fenced in, they will not be fenced in. If you have a goat like this and try as you may they can not be contained, you may need to rethink things. Not all goats need to be fenced in. 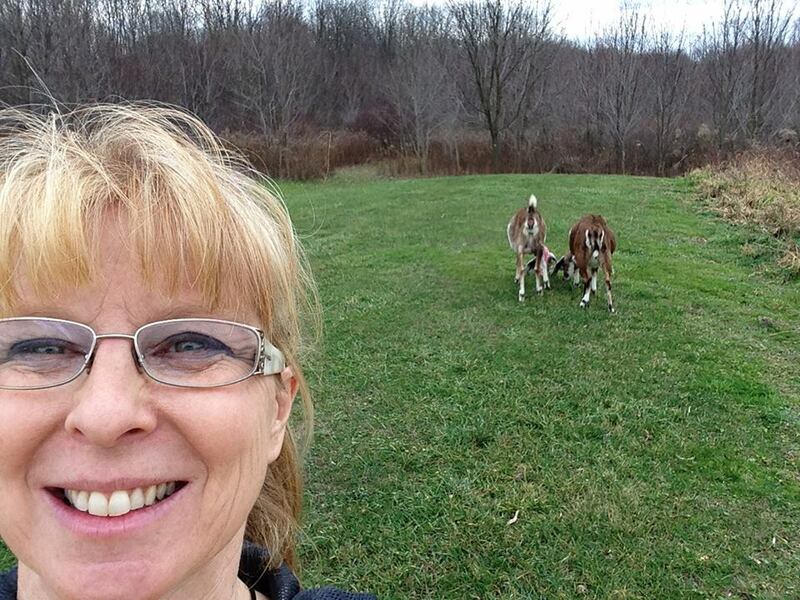 I have a couple of goats that I can let roam around with me while I am working. I also let them tag along on walks. These goats are my sweet goats that have a human temperament and want to be around me. These are my easy to contain goats and not much effort is needed to keep them in a fence. However, if they are in heat? They will jump a 10-foot barbed wire fence over a moat with ease to reach their studly buck. Cue the random goat selfie. What, doesn’t everyone have a goat selfie??? Do not think your first plan will work. Always be prepared to change things. Remember the main objective for your animals is to be safe at all times. If your first idea doesn’t work as expected, make adjustments or change things completely. However, once you do find a successful fencing option and layout, you should be good to go. Any new goats that come in more often than not will follow the lead of the herd. The grass IS always greener. I think this phrase was first said by a farmer with goats. For some unknown reason, my goats firmly believe the best grass is on the other side of the fence. And I am just a mean old person that won’t let them have the good stuff. 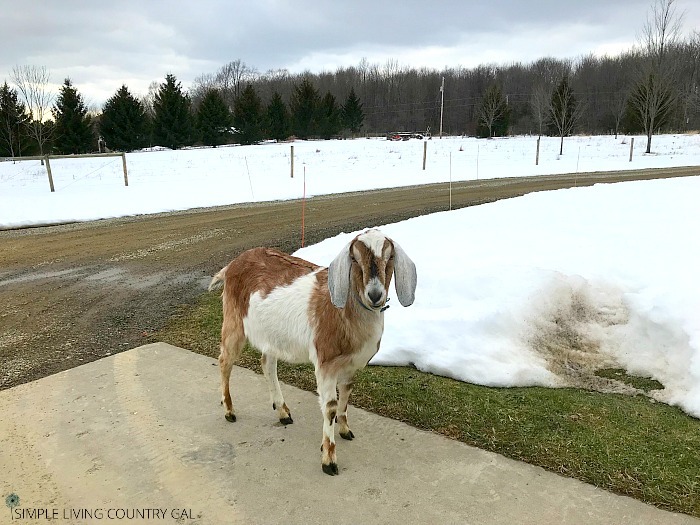 For this reason, always check your fences either seasonally or monthly to make sure there are no gaps or cut lines where your goats can accidentally escape to those greener pastures. Once those goats get a taste of freedom they are bit harder to contain. Keep it trimmed. This is an item that should be on your monthly to-do list no matter which fence you use. Keeping weeds and grass trimmed at all times will ensure an effective fence. Okay, now that we have all those disclaimers out of the way, let’s get to the good stuff. 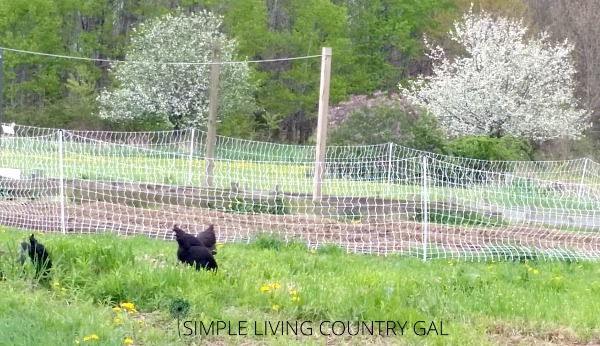 Goat Fencing Ideas that you can use on your homestead. Caution!! If you have goats WITH horns you will NOT want to use this option. Goats can easily get those horns stuck in fencing so unless you have access to fence with very small openings, I would skip this option altogether. These are 1 piece welded steel panels that come in sheets. These panels are easy to move and simple to use. They are flexible, sort of lightweight can be cut to fit, and if installed correctly can keep just about anything in. We use these fence cutters to trim or cut our steel panel fencing. They are easy even for me to use. To install this goat fencing option, drive steel posts into the ground every few feet and attach the panel to the post using wire clamps or my ever trusty zip ties. Make sure the posts are on the outside of the fence to ensure you have a sturdier panel. The goats will stand on this fence and push with their natural weight. Having the posts to the outside will give extra support. Steel goat fencing panels come in different sizes. Cattle Panels are 4-5′ high by 16′ long. Pig Panels are just under 3′ high by 16′ long. 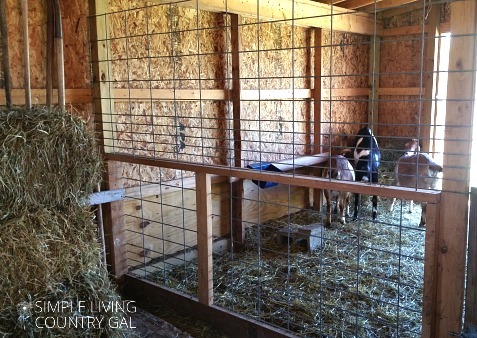 Goat or Sheep Panels are 4′ high by 16′ long. I prefer the taller cattle panels for containing my bucks. Since they are higher they are better able to keep my boys in even when my gals are in heat. Another plus to the cattle panels is the spacing is much closer together at the bottom and can easily keep small kids contained as well. Another plus is if you need an even taller fence option, you can easily stack these panels for a sturdy full wall fence. Remember those does in heat I warned you about? Well, this is one way to keep the ladies in until you are ready to breed. You can find these fence panels at your local feed mill or at Tractor Supply. Bottom Line: A good and inexpensive option for a more permanent goat fencing. This is the fencing I started out with and I still use today simply because of its durability, ease, and effectiveness. This is a woven electric fence that comes in lengths up to 160′ long. I have several sections of this exact electric netting and it has lasted me 6+ years without any problems. If you do not have a source of electric, you can also purchase their electric solar box. The box attaches easily to the fencing using a steel rod for a ground. We have an. older version which still works perfectly, however, they have redone the boxes and they are much nicer looking now. The fence is easy to use and store during winter months if not needed. The trick is to fold the fence up by a panel like an accordion then wrap it around a piece of plastic pipe or something similar. 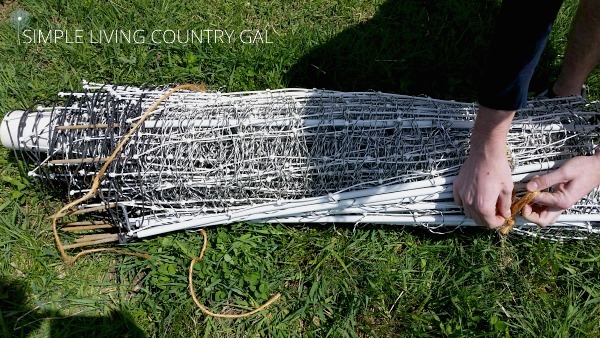 You can then tie the netting down and keep in your barn or basement. I have used mine throughout the winter with no problem. If you choose to do this, however, make sure to watch the snow and do not let it build up on the fencing. This can apply pressure to the lower strands that can stretch them out. The netting is a bit more expensive than the steel panels, but I believe easier to use and more secure. And DEFINITELY much easier to move! I also found it quite easy to train my goats on the netting and it is a preferred method for training my kids as well. When training young kids I will actually sit by the solar box. The curious kids tend to stick their heads through the netting to nibble at grass. I only want a quick zap on the kids and they usually pull their heads back out immediately. Sometimes though a kid will panic and push through the small hole rather than pull back. In that case, they can get stuck and the zapping will continue. For that reason, I will sit by the solar box during fence training and turn the box off if a kid does get stuck. Goats are very smart, even the kids so it usually only takes one zap (sometimes two) to teach the little ones to stay back. 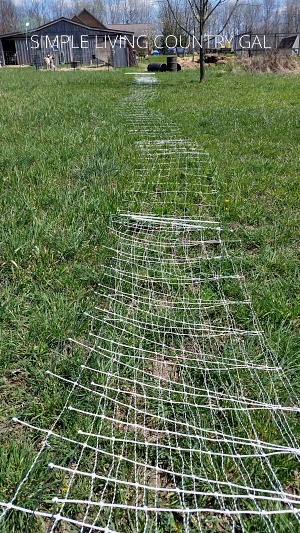 I have several panels of this fencing and I use it to section off my pasture for rotational grazing. I also use it for my bucks so they can graze away from my does reducing the risk of untimely breeding’s. New this year is a poultry fence around my garden that is working brilliantly and also keeps out deer and rabbits as well. 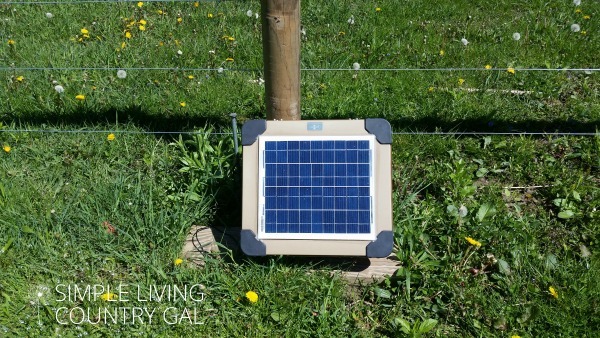 Bottom Line: A perfect electric fence solution for the hobby farmer that does not have a large amount of land or animals. Easy to move, set up and train on. This is the perfect way to contain many breeds of animal. Bottom line: An easy fence to move and store. Perfect for containing animals both permanently and temporarily. 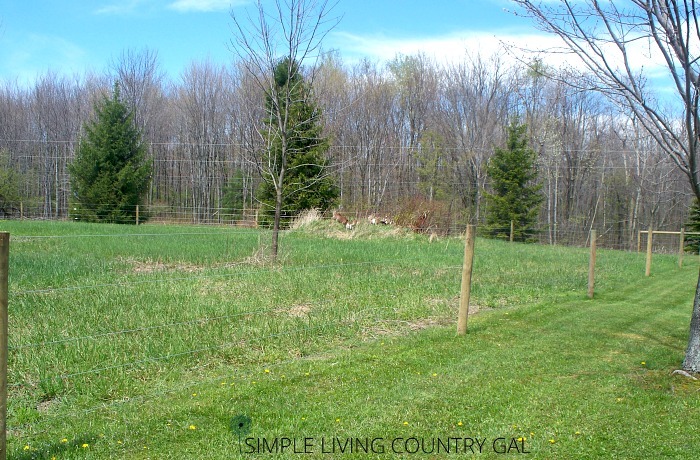 This is a permanent method of fencing and works well with large sections of pasture. We installed our first high tinsel two years ago and I am beyond happy with its effectiveness. We paid to have our fence installed to ensure it is done correctly and lasts our intense winters and snow here in Pennsylvania. You can install yourselves, but I would not recommend it unless you know what you are doing. Bottom line: A good option for permanent fencing that is sound and secure. A more expensive option that will contain an animal of any size. So many people have heard stories of goats and how hard they are to contain. Don’t let this rumor deter you from getting your first goats. Goats are funny, loving, entertaining, and very rewarding. I love my goats and can’t imagine my life without them. The trick to raising goats or any animals for that matter is to start out small so you grow with your herd. Do your research so you are not jumping in unprepared and set your property up so you can house your animals safely and effectively. 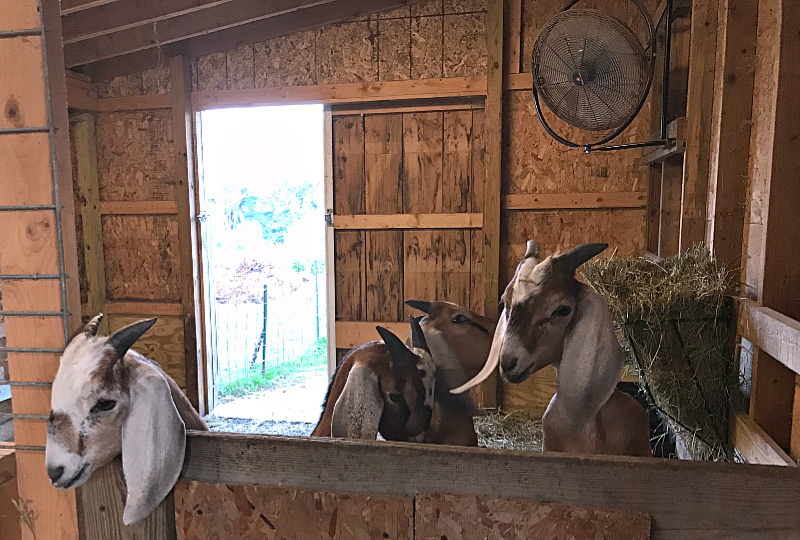 The purpose is not only to keep your goats in but other animals out as well. 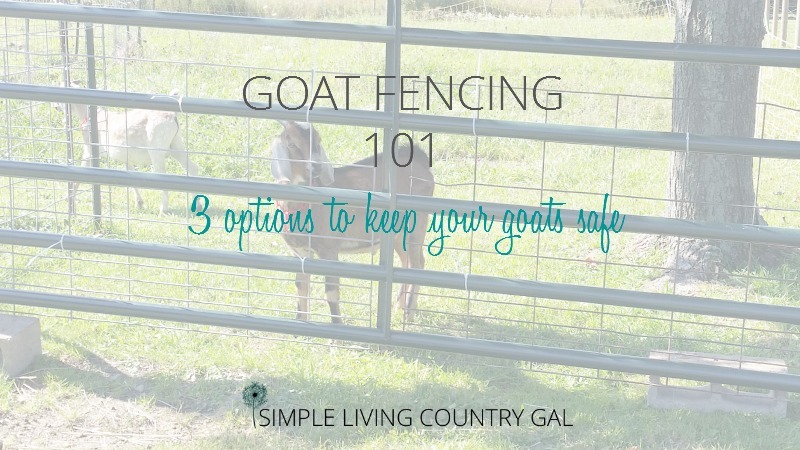 Now that you know the 101 on Goat Fencing what tips can you give to help others on their goat journey?